Be the first to hear about their new releases and deals. Download the Booksprout app and search for Suzie O'Connell today! Suzie O’Connell is the USA TODAY bestselling author of the Northstar romances. The series is the product of a love affair with Southwestern Montana that began with a two-week adventure at her stepsister’s rustic cabin in her teens. That love affair shows no sign of abating. 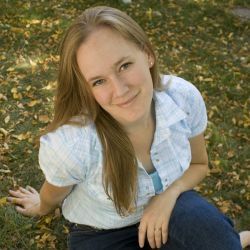 She has been writing stories for as long as she can remember, and her love of writing and of Montana pushed her to earn a Bachelor of Arts in Literature and Writing from the University of Montana-Western. What else would you expect from a self-professed mountain-loving nerd? When she isn’t writing, you’ll probably find Suzie in the mountains with a camera in hand and enjoying the beauty of Montana with her husband Mark, their daughter Maddie, and their golden retriever Reilly.